Don't like new Ship Battles and the Target Lock RNG Biggs Meta? 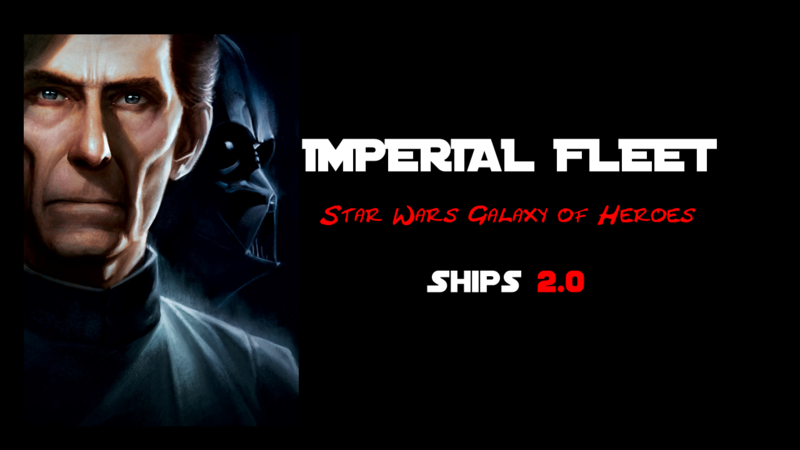 Join the Imperial Navy! This is a Video Tutorial (click) for upcoming Pilots. Trust the Empire, crushing the Biggs Meta was never easier. Full Empire Setup feat. Tarkins Executrix Capital Ship and Gauntlet as the answer to Biggs and friends. Fights are over in 60-90sec. You don't need the Ultimate. Follow up the guide and enjoy a unique Fleet Setup that can easily climb to the top of your ship shard. Have fun with Ships 2.0! Note: You can run Executrix with the common Biggs+TIEs Setup too, but the only real advantage over Thrawn/Chim is that Tarkins Ship is faster so you get your Reinforcement early but overall you are back to Target Lock RNG Meta. I hold top10 over night since the update and only need 1-3 battles over the day with this fleet. My shard is full of Thrawn, Biggs + TIEs but at least more and more also try Executrix or Home One. Main problem is, that most Fleet shards have only the "old" Pilots/Ships upgraded and the new important Omega or Reinforcement Mats are super rare - it will take a while (maybe PvE Fleet Battles will change it) if most catch up or even try new unexplored Ships/Setups too cause its a huge investment currently. Biggs is also better now, cause damage was scaled down and besides lesser overall damage in a 3vs3 compared to 5vs5 the damage basic/specials (with some juicy 15+30% upgrades) all need the rare Omega mats. So damage will go up in the future and hopefully help enough players to get rid of the tanks fast enough.